Do you think the study room is different from the rest of rooms in your house just for having books and other related items? If it is so, then why is there a need to create a separate study room in your house? You can use any unused area of your house to study. Do you know that a study room is constructed and designed while keeping various important factors mind which no one takes into account while constructing or designing the rest of rooms in a house? From the placement of furniture, to ventilation, flooring, lighting and paint, everything of a study room slightly differs from the other rooms. The room maintains a special ambience that helps a reader to fully concentrate on study. The quiet, calm and comfortable feel along with bulk of books and other study related materials, provokes a reader to educate himself. By hiring a professional interior designer in Pakistan, you can get a study room designed which truly carries the feel of a library. Here is a brief description of designing the interior of this special room. 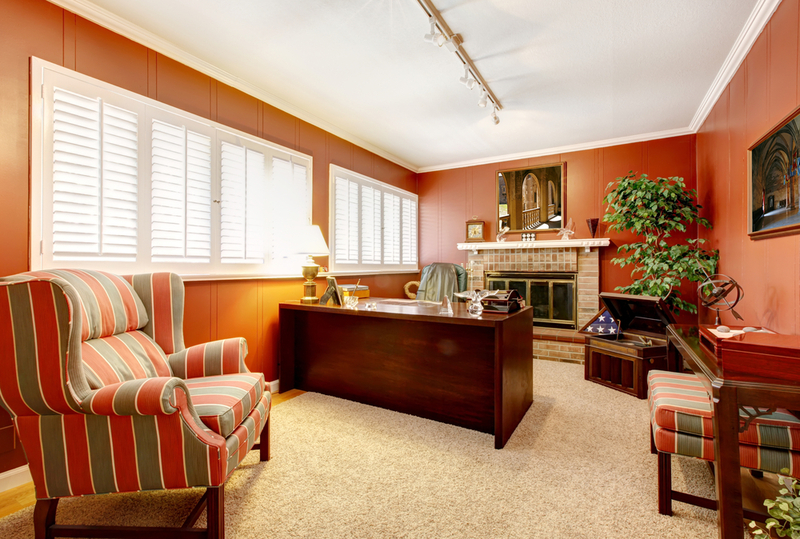 Although, there is no hard and fast rule about allocating an area to a study room because it depends on the overall area of your house; however, make sure that it provides enough space to sit comfortably. Study room should be located in an area where there is less noise and more peace. Do not connect it directly to your living room, TV lounge or kitchen. Keeping up the study room’s comfort is the rule of thumb. You should be very careful about the paint’ color selection. Do not go for the over bright colors like lemon yellow, shocking green and pink. Even if you want to choose such colors, go for their different shades which give a more decent and quiet feel like soft blues, mauves and other similar shades. You can even use greyish, cream or simply off-white paints. Be it a matter of natural light for your study room or the artificial one, you should be very careful. Make sure the room is constructed in a way that it allows the natural light to come in properly because not only it is necessary to maintain a proper interior but it also keeps the room refreshed. You can keep windows according to the overall size of the room. As far as artificial lighting is concerned, you do not need to go for chandeliers or any other such kinds of lighting which disrupts your concentration. Mostly, readers use study lamps or study lamps, as these help to focus solely on the reading materials. Make sure that the chairs and the table are comfortable enough to sit for a longer time period. 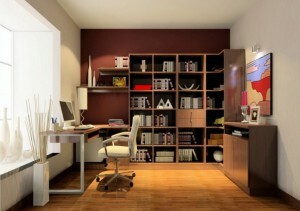 Try to get the bookshelves and bookcases which cover minimum space and offer maximum storages. To select ideal furniture, you can hire an interior designer in Lahore, as he being a professional will help you select the best one while keeping all the factors in view.